As part of a long running investigation working with Multichoice Africa Limited (MAL), a cybercrime syndicate was identified in Egypt. 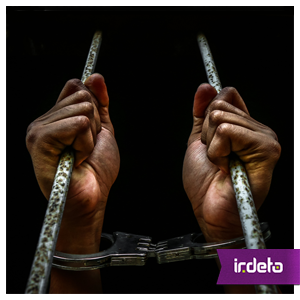 The intelligence indicated that the syndicate was manufacturing and distributing subscription-based pirate boxes which provided unauthorized access to premium content from several international broadcasters. With this evidence a joint criminal investigation referral was made to the Egypt Ministry of Internal Affairs. The collaboration between MAL, the Egyptian Cybercrime Police and Irdeto led to a series of successful raids in Egypt and Kenya. 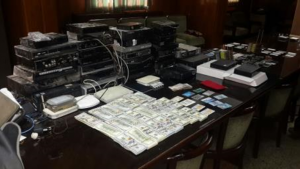 In addition to large sums of cash, the raids uncovered several electronic components, servers, 43 configured smartcards from multiple conditional access providers, several pirate decoders, smartcard readers and other control word sharing equipment. The technical forensic analysis performed by Irdeto confirmed the number of pirate viewers as well as the extent of the pirate’s geographic satellite footprint. All of which contributed to the legal evidence to support the successful criminal prosecution. Although the judicial process can take time, it’s an essential part in the fight against piracy. The convictions send a strong message to the pirate community that piracy is a serious offence that won’t be tolerated. More details about the conviction can be found in our press release. As you can see to fight piracy, you need more than technology alone. Whether it’s related to control word sharing or other types of online piracy, it is the proactive services delivered by experienced investigators and analysts that are essential to identifying the individuals within the pirate organizations. Proactive enforcement and investigative services aimed at identifying and prosecuting the parties involved in large commercial pirate networks. Online piracy is a growing industry wide problem. And as this example shows, to be successful in fighting the pirates it is investigative skills and teamwork that makes the real difference. This entry was posted in Media & Entertainment and tagged control word sharing, Irdeto, Multichoice Africa, online piracy, pirate raid. Bookmark the permalink.